Friendly volunteers operate our fully licensed bar which provides a variety of alcoholic and non-alcoholic beverages. We only sell quality products from around the world to provide our patrons with an authentic taste and experience no matter what your choice is. Prost! ** The only place on the northern beaches that sells Austrian beer, Austrian wine & Austrian soft drink! ** The only place on the northern beaches where you will find Austrian draft beer! 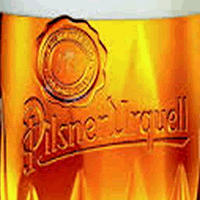 ** The only place on the northern beaches where you will find the original Pilsner Urquell draft beer! Schnapps, spirits, liqueur.............radler or Almdudler? Beautiful clear schnapps made from apricot, pear, apple, plum and many other fruits are a favourite of Austrians and traditionally enjoyed after dinner. Naturally we also have a variety of other spirits and liqueurs to choose from. For those that prefer lower alcohol drinks we also sell the wonderful Gösser Lemon Radler (2%) or soft drinks including Austria's own Almdudler. Stiegl-Goldbräu is a traditional Salzburg beer speciality with 12° Plato and a characteristic golden-yellow colour. A full-bodied beer with a gentle bitterness brewed using indigenous ingredients. Wonderfully refreshing and very agreeable. Pilsner Urquell has used the same recipe for over 175 years. Today, they still insist on using traditional methods, like triple decoction and parallel brewing in wooden lagering barrels. It takes longer but means there is no compromise on taste. Gently spicy wheat and yeast aromas blend with mildly bitter hops. The invigorating carbon dioxide ensures its typical liveliness. A premium beer whose full-bodied yet elegant character leaves a lasting impression of ultimate Bavarian enjoyment. A truly unique wheat beer! The bottom-fermented, full-bodied beer is straw yellow in color and pleasantly hoppy in the fragrance with fine malt notes. 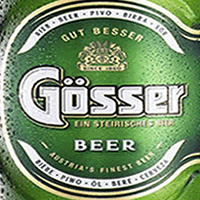 In the first sip these malt tones are more pronounced, the light hop note completes the harmonious taste of Gösser Märzen. "A classy shandy” - Full-bodied Gösser and natural lemon juice add to a refreshingly light beer. 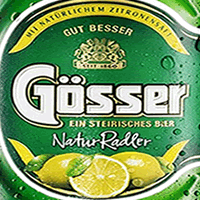 The genuine lemon juice also gives the Gösser NaturRadler its slight cloudiness. A unique thirst quencher with a harmonious taste. 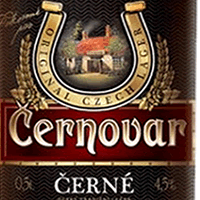 A traditional Czech dark lager with rich flavour given by a special combination of four types of malt, which also endows the beer with fullness and a unique caramel flavour and aroma. A pleasant bitterness and rich stable foam complete the unique character of the beer. 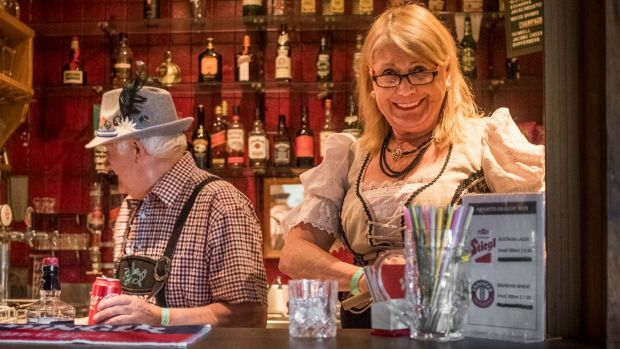 The delicious and refreshing drink has a longstanding tradition in Austria since the 14th century, today Austria has the highest density of breweries in Europe. 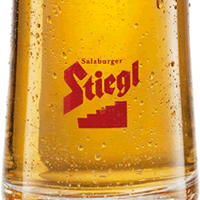 The Austrian Club Bar is proud to offer a beautiful crisp Stiegl lager beer on tap, producer of high quality beer since 1492 and owned by the same family for the last 120 years. Be sure to ask your bartender for a “kleines” (small 330ml) or a “grosses” (large 500ml) on your next visit. 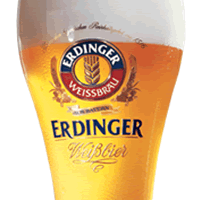 Bavarian's are well known for their wheat beers and there is none better than Erdinger so if you love a quality wheat beer of course you will enjoy Erdinger on tap at the Austrian Club Bar. We also have a variety of Imported and local beer available in bottles to please every palate. With over 4,000 years of wine making it is firmly implanted as part of Austria’s culture. Grüner Veltliner (pronounced Grooner Veltleener) is the predominant white wine which is light and crisp and a welcome change if you are used to drinking Sauvignon Blanc. Red wines are dry and easy drinking. Lenz Moser quality Austrian wines are available at the club and offer excellent value for money. Both of these wines are from the famous wine growing regions of Lower Austria. Grüner Veltliner -Yellow-green colour, fresh and spicy bouquet, fruity body, lively fresh finish. Blauer Zweigelt - Ruby red colour with violet glimmer, fruity bouquet, cherry aroma. Full bodied red wine with spicy note, fruity finish. We also have an excellent selection of Australian wines and the ever popular Sauvignon Blanc from the famous New Zealand Marlborough region.